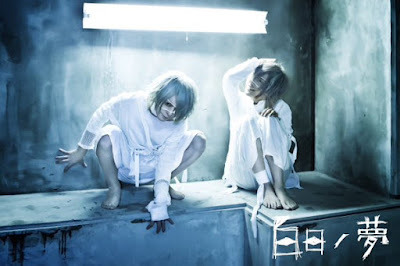 It has only been a couple weeks since Shounenki's final live, and it looks like some of the members were just as anxious to get back into the scene as their fans were to see them again because they have a formed a new unit called "Hakujitsu no Yume." The new band consists of ex-Shounenki's Vo. Sera (Vo. Kou) and Gt. China (Gt. Eiki). While the band has yet to release any information about any releases, they have uploaded a teaser and announced the dates of a their live debut. Hakujitsu no Yume will hold their first live on May 6th at Ikebukuro EDGE and their free one-man live "Shiroki Yume" on May 27th at Kitahorie Hills Pankoujou.